Processed with MaxIm DL 5 and photoshop. 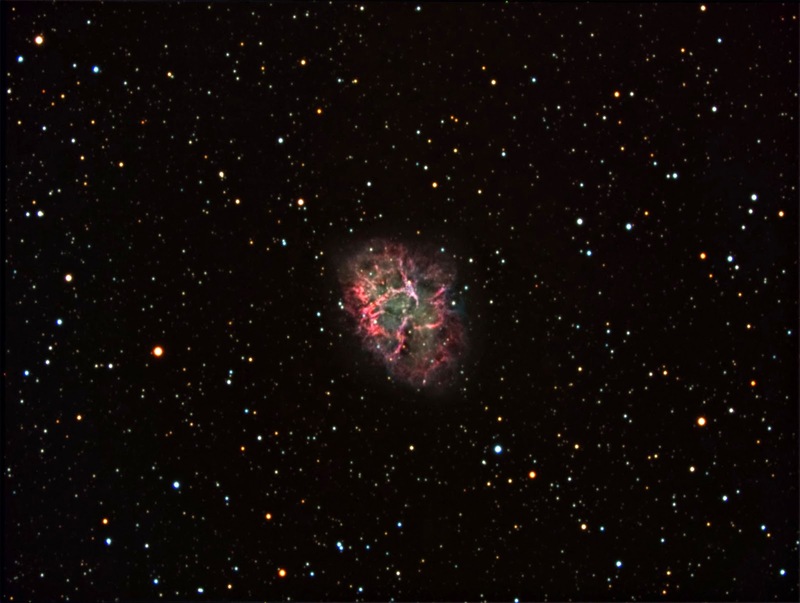 The Crab Nebula is a supernova remnant and in the constellation Taurus. 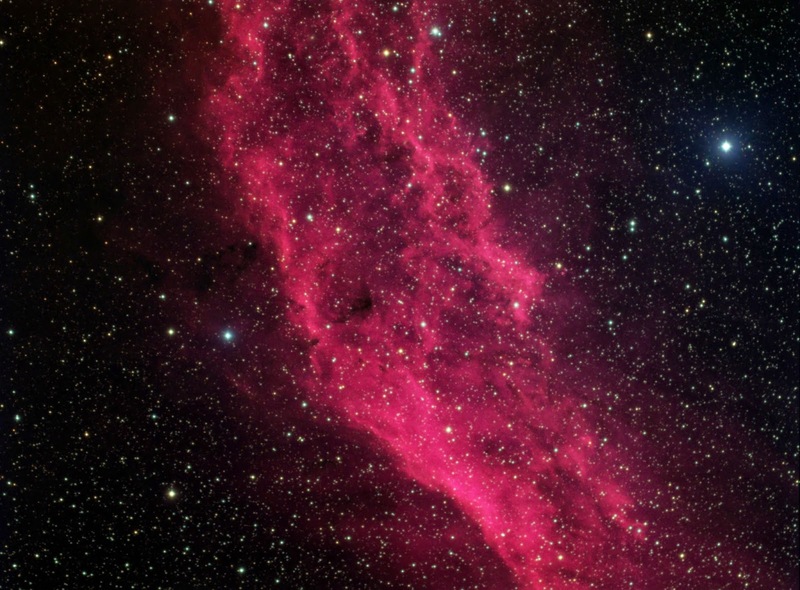 Located at a distance of about 6,500 light years from Earth, the nebula has a diameter of 11 light years. At the center of the nebula lies a neutron star about 20km across spinning about 30 times per second. When a star dies it throws out a wave of gas and dust known as a supernova nebula. 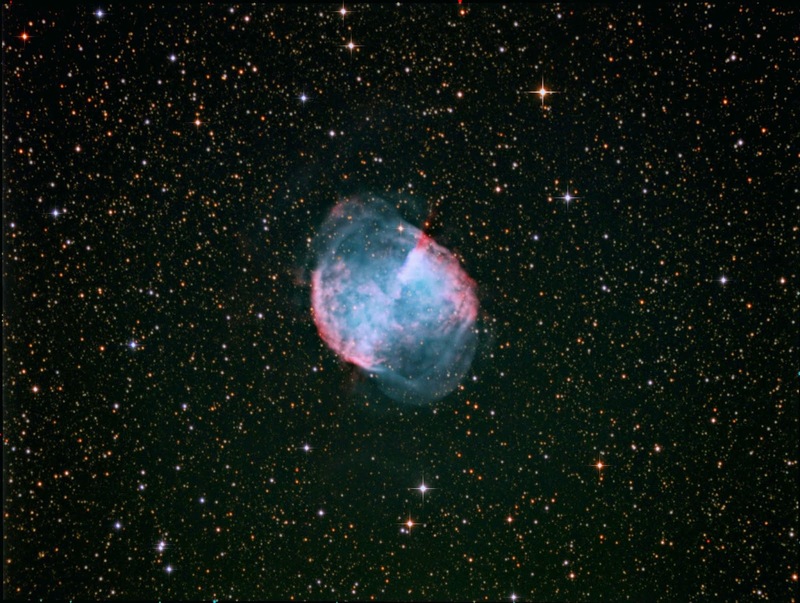 At a distance of 1,360 light years away, the Dumbbell Nebula is located in the constellation Vulpecula. It's more of a summer time object, however, I started imaging this object on August 29, 2014 with a Hydrogen Alpha filter for Luminance and completed a set of images with a red filter. I wanted to complete the image using green and blue filters, however, the wind and the weather were a factor the next night, so I had to wait until September. September came around and I was unable to find any clear skies due to tropical storm Odile that was placed over Lubbock, TX. Yes, you read right, the remains of a tropical storm gave Lubbock 10 inches of rain within a week. So October finally came around and I was able to complete the image using more Hydrogen Alpha data, red data, and completed the green and blue data on October 16 and 17, 2014. Processed on Saturday October 18, 2014. Dates: Multiple nights on August 29, 2014, October 16 and 17, 2014. Imaged over several nights. 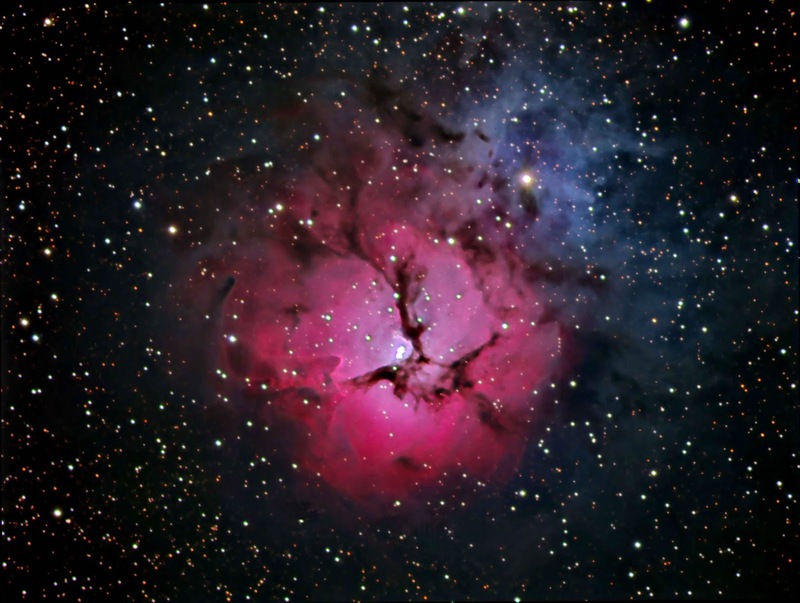 The Trifid Nebula is located in the constellation Sagittarius located approximately 5200 light years away. It's a star forming region with numerous dark dust lanes creating lots of dark filaments. Dates: Early morning, July 25 and 26, 2014. 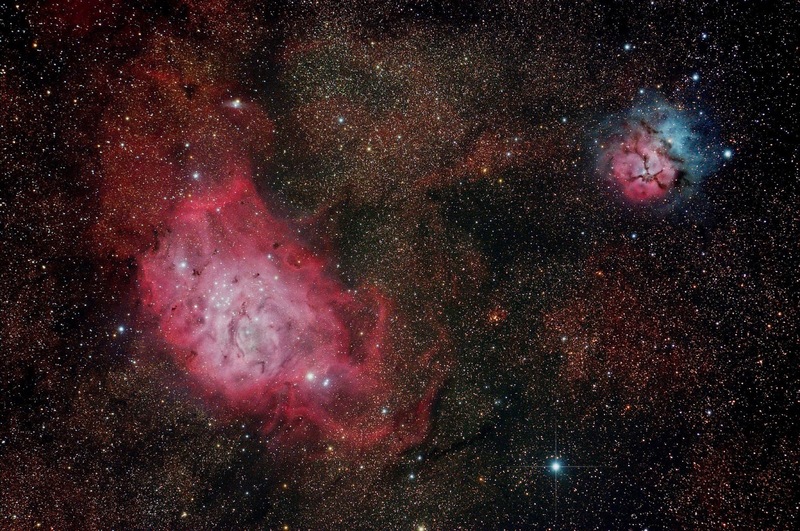 Imaged over several nights. Took this last week at the Texas Star Party. My movie I made with a Canon 5D Mark II. Spent all night from sunset to sunrise capturing data to make this movie. Took 400 images and combined each to make this movie. Each exposure was 30 seconds at ISO 5000 with one minute delay between each frame. Clink the link to watch. Don't forget to set to HD 1080. Located in the northern constellation Canes Venatici, the Whirlpool Galaxy is approximately 23 million light years away. Appearing as a face-on type galaxy, it is one of the most famous and often photographed images. 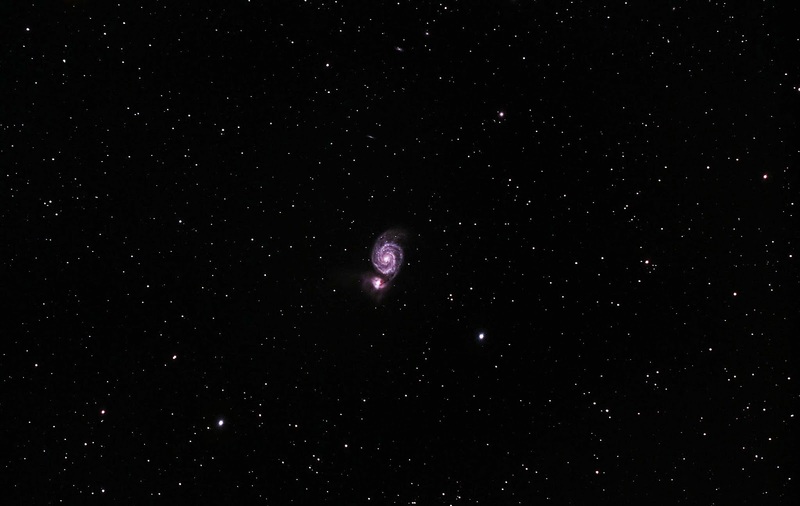 In the image, there are fainter galaxies located around M51 toward the upper right. 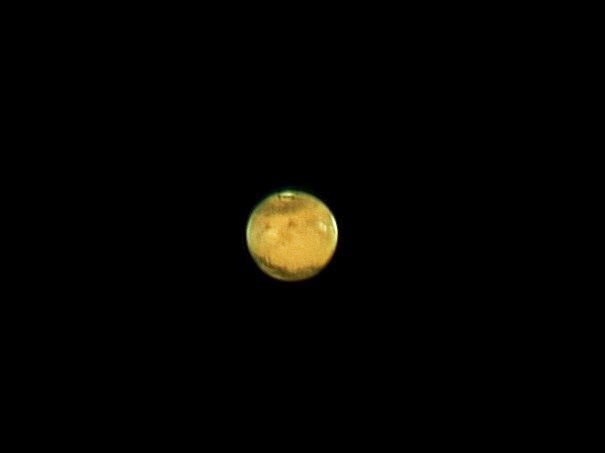 Imaged Mars on April 8, 2014 when it was at opposition. Opposition refers to Earth being right in the middle of another planet and the sun. So when the sun sets in the west, Mars will rise in the east. And when the sun rises, Mars will set in the west. Get it? Just like a full moon. Mars will appear closer this year than it has in the last 7 years, however, it will be a mere 92 million kilometers on April 14th. That's when Mars will appear it's closest to Earth. The image below is from a Philips Web Cam and processed with Registax 6. Captured with WebCam software and guided with PHD guiding. All three galaxies lie within the constellation Leo and all three galaxies are spiral galaxies. 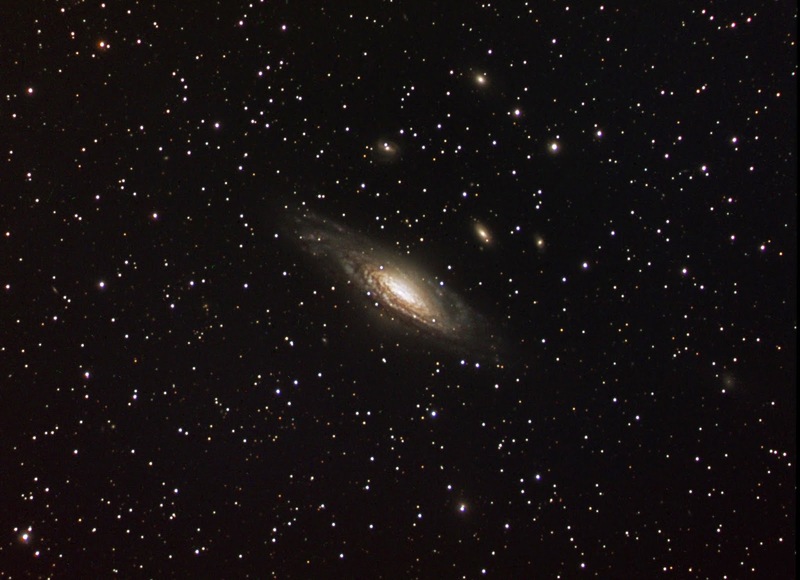 NGC 3628 (Edge on) has a thick dark dust lane that is visible. 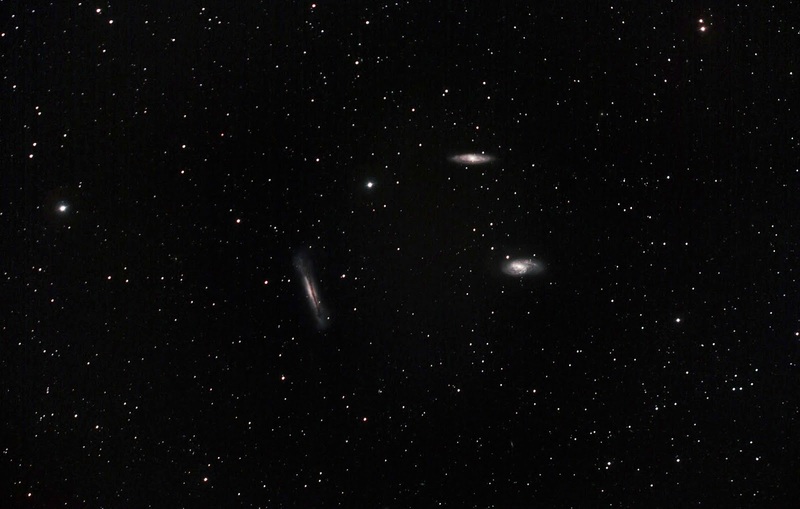 The Leo Triplet is about 30 million light years away. M82 is a distance of 12 million light-years. It has thick areas of dust and sprays out hydrogen gas and has a bright center that creates massive star formations. The supernova is not in the central star-forming region but above the center of the galaxy. 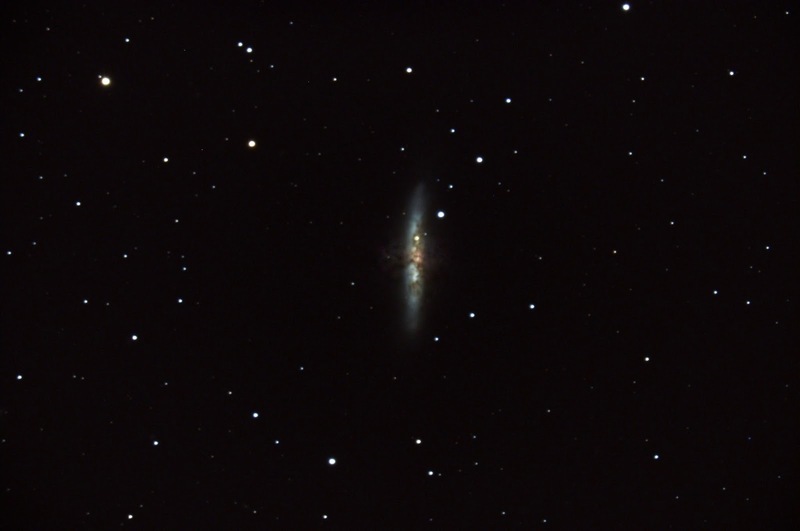 On January 21, 2014, a group of astronomy students spotted a supernova in M82. The supernova itself did not happen on January 21st, but did occur about 12 million years ago. It's light is just now reaching Earth. So, the supernova itself is ancient history, but it takes light 12 million years to travel to Earth. Located in the constellation Ursa Major (Big Dipper). The Horsehead Nebula is a emission nebula in the constellation Orion the Hunter. Just under the star Alnitak, this nebula is 1500 light years from Earth. 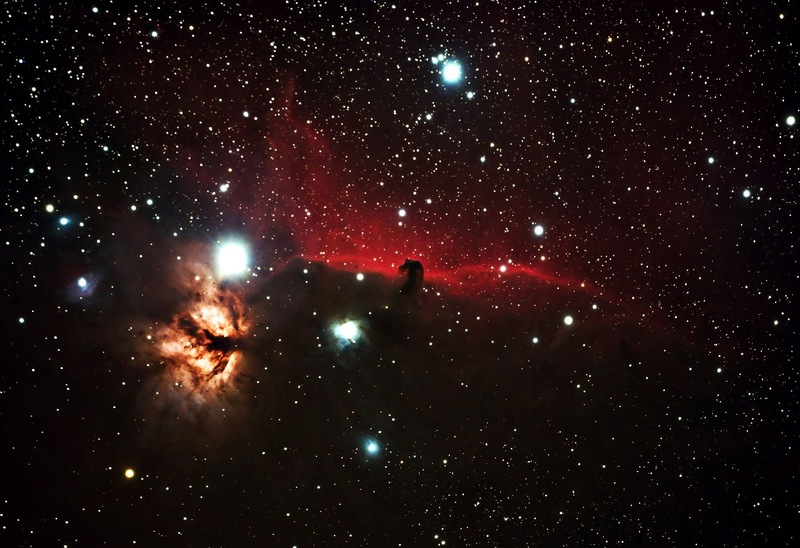 It's one of the most identifiable nebula due to its shape of a horses head. This is where stars are born.